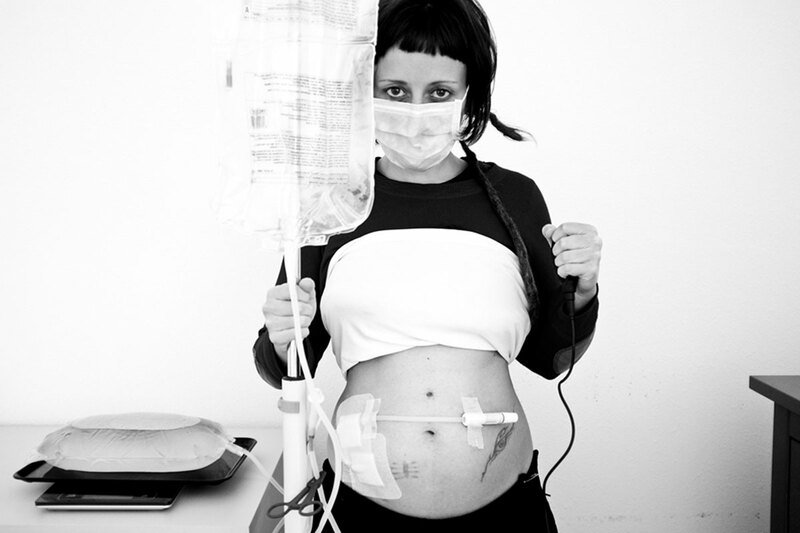 I am a photojournalist and at the same time have kidney chronic disease since 2004. For the first time I found myself in front of and behind the camera, photographer and protagonist at the same time. Photography was a medium used to turn my fear into strength and creativity. Self-portrait converted into voice of myself, a way to tell my story, a form of participation in the report, a new form of telling stories with pictures, a form of knowledge that is needed to break the barrier of fear that exists when each of us faces something unknown. From 31 July 2011, until today, I told the story of a kidney patient, the time of the pre-dialysis, the choice of peritoneal dialysis, the relationship with doctors and nurses, with family and friends, with my partner, waiting for a call, when you connect to a machine until the arrival of the transplant. They are completely sure that the disease has made me a better person and thus a better photographer. At this time the question I often ask myself is: would it be possible for me to be a photographer if I had not had the experience of this disease?